Hold the bird with a firm grip on both legs. 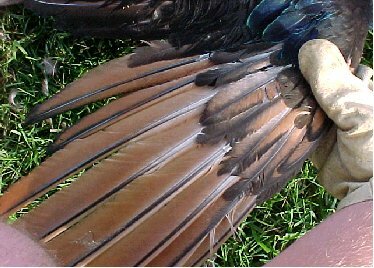 tertiary feathers as a guide. 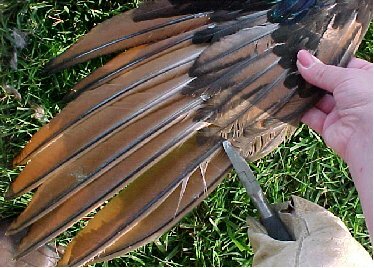 cutting too close to the wing bone. 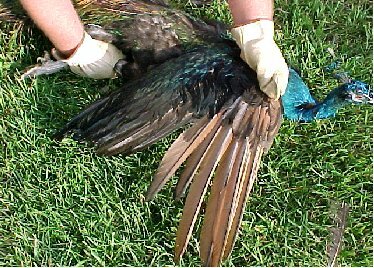 Continue cutting across the wing. 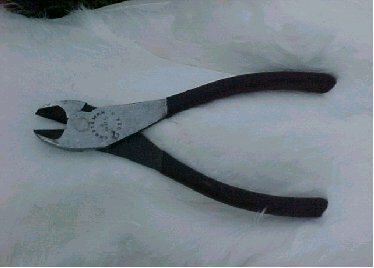 Clip only one wing on each bird. 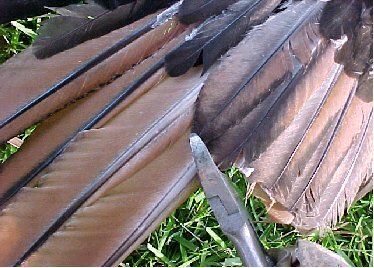 Wing feathers will grow back in 4-5 months.